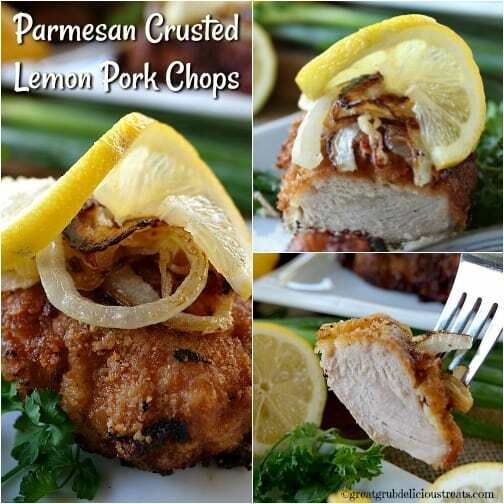 How about some delicious parmesan crusted lemon pork chops for dinner tonight? 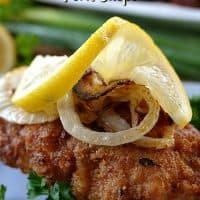 These pork chops are crusted in a parmesan batter, drizzled with fresh lemon juice, seasoned and fried to perfection, topped with grilled onions, and a thin slice of lemon. Talk about delicious! This is a delicious meal which doesn’t take long to make and everyone will love. And, it’s tastes great served with mashed potatoes and a salad. I made these pork chops last week. They were so good that I wasn’t even able to take pics because these babies got gobbled up so fast. They’re that good! 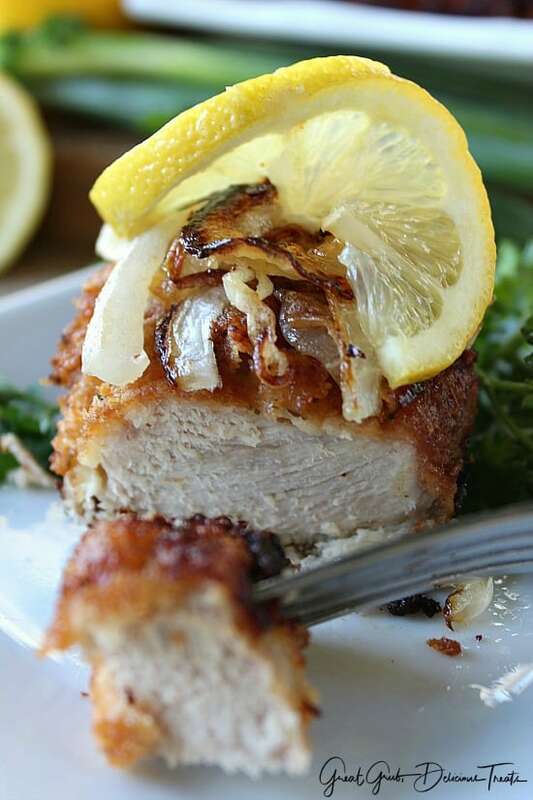 I was like, “Wait, I need pics!” Well, that didn’t happen so I decided to make these parmesan crusted lemon pork chops again. Basically, add the parmesan cheese, flour and bread crumbs into a gallon size baggie. Seal and shake to mix. Add each pork chop and shake to coat. 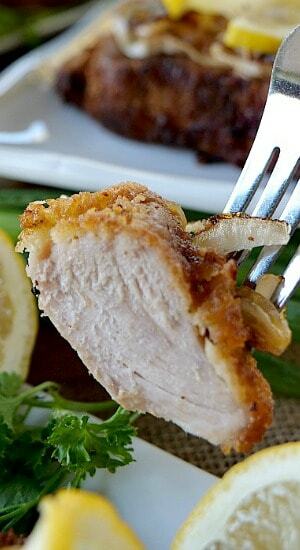 Remove and place on a paper plate and continue with each pork chop until all are coated. Next, dip one pork chop at a time into the egg mixture, then back into the baggie. 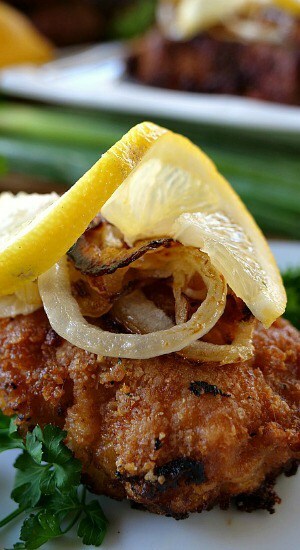 Shake and place each pork chop into a cast iron skillet, with hot oil, and fry to perfection over a low/medium flame. 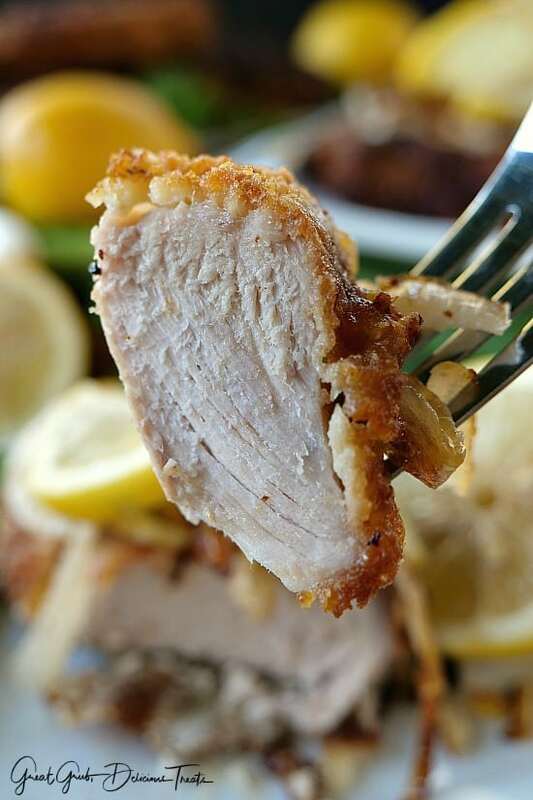 Always having different options at mealtime makes dinnertime enjoyable and these parmesan crusted lemon pork chops will definitely be a hit that all will enjoy. Add each pork chop, one at a time, to coat. Place the pork chops on a paper plate. Whisk eggs in a bowl and dip each pork chop into the egg mixture. Next, add each chop back to the bag, shake until coated, remove and place into the hot oil. 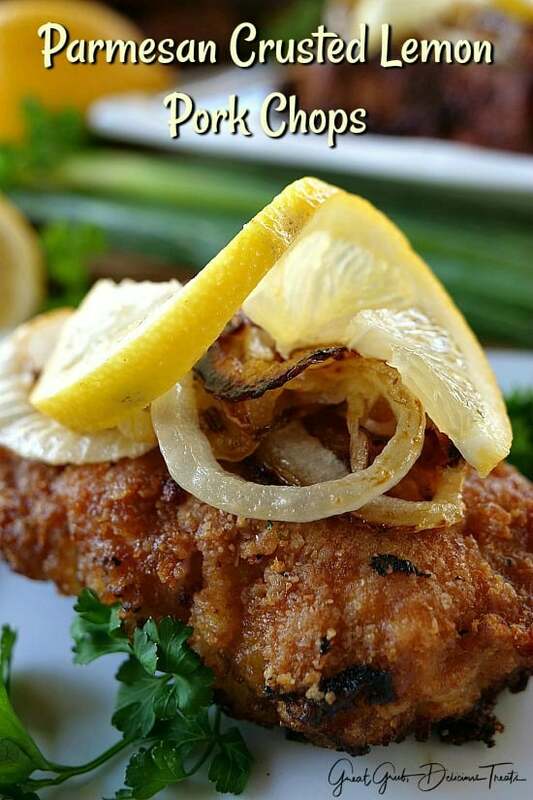 Squeeze lemon juice over each pork chop and once again on the other side when turned. Fry until golden brown on each side and internal temperature reaches at least 145°. While pork chops are cooking, in a separate frying pan, add a little oil and grill the onions to desire likeness. 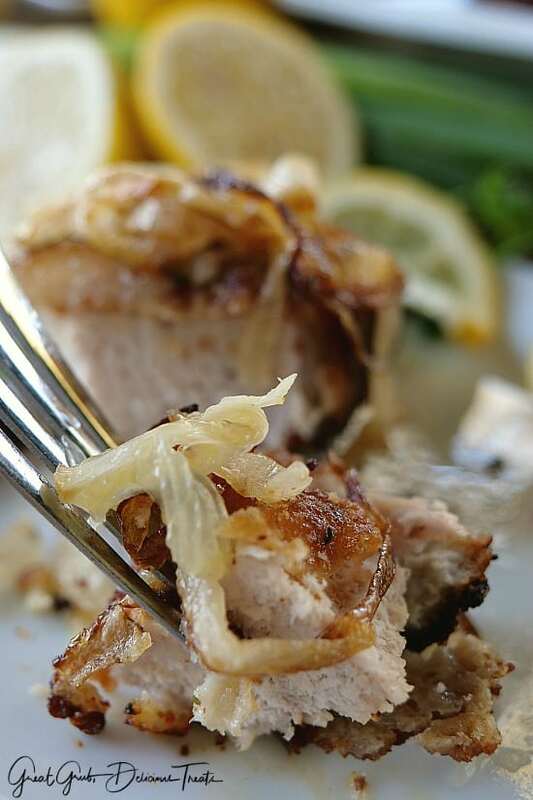 Top each pork chop with grilled onions, and a thin slice of lemon.